Hello, my name is Vladimir. 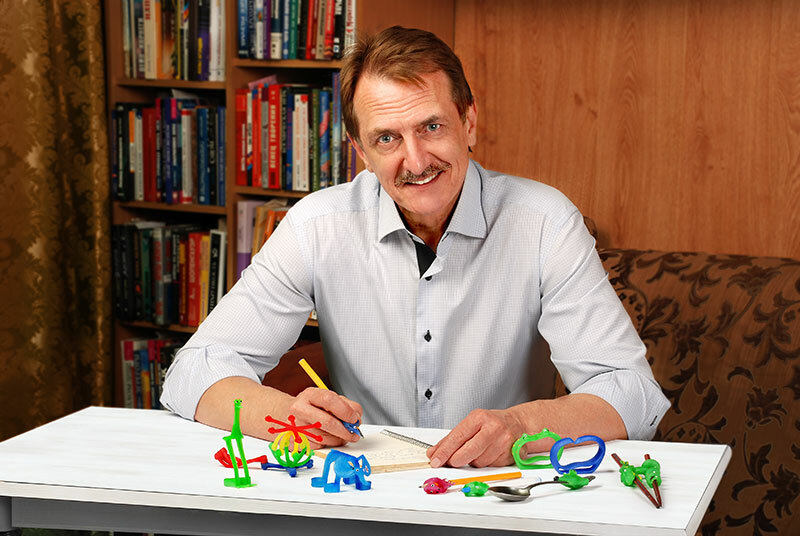 I am an inventor of educational and training devices for children. I’d like to tell you the story of their invention. At school, I learned to write by holding the pen incorrectly. While my classmates began to write quickly, I lagged behind and my handwriting started to get worse. It was very frustrating because I was doing well in other subjects, so I started to feel somehow inferior because of my problems with writing. I had to relearn. It was so uncomfortable and difficult that I literally sobbed from impotence. The correct writing grip seemed awkward, illogical and it seemed liked it was virtually impossible to write beautifully in that way. The process of relearning took me about a year and cost me a lot of effort. When it was time to teach my own children to write, I was very afraid they would repeat my mistakes. And so they did. First my son and then my daughter began to hold the pen incorrectly. My persuasions and warnings did not work; they told me that way felt more natural for them. They understood they had problems when they had to write a lot and quickly. That’s when I came up with an idea to design a training device which would ensure the correct writing grip. As a result of long trials and errors, such a device was created. With its help, my son, who was a student, could hold the pen properly already after 2 weeks of training and managed to write down the lectures. He quickly forgot the way he used to hold the pen earlier. The simulator helped my daughter as well. After the parents of children with writing problems tried out the “Write-it-right” trainer, they asked to create for similar devices for teaching children to properly hold a spoon and chopsticks. So a series of such training simulators was born. As you can see, life itself has pushed me to create these devices. I would like to encourage parents and teachers to send me feedback and comments about my devices, as well as suggestions for future simulators helping to develop skills which you think would be useful for children.